True Detective Season 3–Whodunit…or Not? For armchair sleuths, the latest season of True Detective will probably not fit neatly into the category of cops-and-killers genre, buddy-cop, film noir, or police procedural. Surprisingly,True Detective’s latest season has elements of all four. 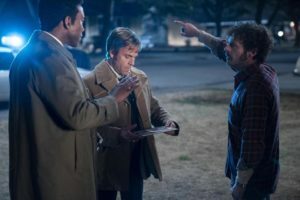 Set in the Ozarks in the ‘80s (with virulent Jim Crow traditions), the ‘90s, and the recent past (probably 2015 or 2016), True Detectives focuses on one haunted Vietnam War veteran, detective Wayne Hays (Mahershala Ali), as he investigates the disappearance of a little girl, and the death of her brother. The narrative is, at times, a murder mystery, a love story, and a friendship between an African American detective and his preferentially treated white partner. In the end, True Detectives is a meditation on death, memory, and the fragility of human relationships. The cultural and emotional legacy of the Vietnam War becomes increasingly important as we come to know Wayne Hays more completely. 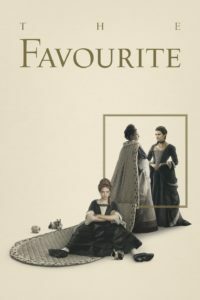 His attempts at introspection and often unsympathetic reactive behavior towards the woman he loves, Amelia Reardon (Carmen Ejogo), changes the tone of the mystery. A schoolteacher who knew the missing kids, Amelia writes a best-selling true-crime novel about the case. 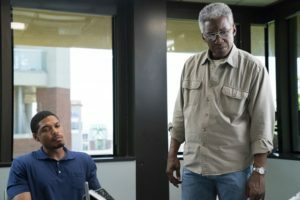 Although we never really discover what has scarred him so deeply, Wayne Hays is so tightly bottled up and wounded that his feelings and thoughts are only expressed through watching his face and body as he moves through a world that is often racist. We see US race relations flash forward through the three time periods of the case. By 1990, the case is reopened when startling information surfaces. Now Wayne has married Amelia, and his relationship with his own children–a son and daughter–becomes more remote as he becomes even more obsessed with solving the disappearance of the Purcell girl at the expense of his own family. While True Detectives is purportedly a story of obsession and crime, it is the tragic disintegration of Wayne’s mind that makes this season worth watching. Dropping hints that his recollections might not be as accurate as they seem, that his past as a war veteran causes some of his serious family problems, are important revelations. His performance drives the series, and is most compelling for the way the crime intersects with his family life. Despite shadowy distractions, “True Detective” is worth watching for the multifaceted and virtuoso performance of Mahershala Ali. Note: This is an HBO mini-series. 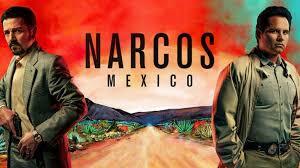 Three Netflix series — Narcos, Narcos Mexico and El Chapo– are gritty, raw, and bingeable. Each chronicles the most powerful drug lord and his cartel at the rise of cocaine and marijuana production in Colombia, Mexico, and other parts of the world. Based on sometimes astonishly real life stories of drug kingpins Pablo Escobar, Angel Felix Gallardo and El Chapo, the viewer witnesses each of these drug dealers’ malevolently brilliant strategic maneuvers to avoid capture and extradition. Corrupt government and law enforcement, including the DEA (US Drug Enforcement Administration), dance to their deaths in quick step, a carefully calibrated violent seizure of power. The war on drugs is not simple for the agencies committed to win or for the producers and distributors committed to prosper. With billions of dollars in income, we are treated to observe, from the catbird’s seat, each drug lord continually shifting allegiances and deal-making in order to retain power. Surviving in a cut-throat world of betrayal and loss, the thug subculture tries to maintain fierce loyalty while family members become the collateral damage. An unlikeable character, no matter the circumstances, remains unlikeable, but in each of these Netflix series we see the drug lord’s vulnerability, focused on wives, girl friends, and children, giving humanity to otherwise horrifyingly brutish and cruel behavior. 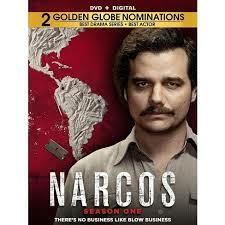 The three award-winning series seem incredulous until the viewer realizes that the current and ongoing trial and sentencing of El Chapo demonstrates truth is stranger than fiction, and that screenwriters flocked to the courtoom in Queens, to gather more material for the ongoing series, Narcos Mexico, and that the young actor who plays El Chapo was greeted with a wave by the actual El Chapo when he entered the courtroom. At times gripping suspense and violence give way to scenes of Mexican culture and small towns surviving on the margins. Poppy and cannabis cultivations fit in well in among cucumbers and tomatoes. This is one of the best series of drama and suspense to come from Netflix. A winner without qualifications. 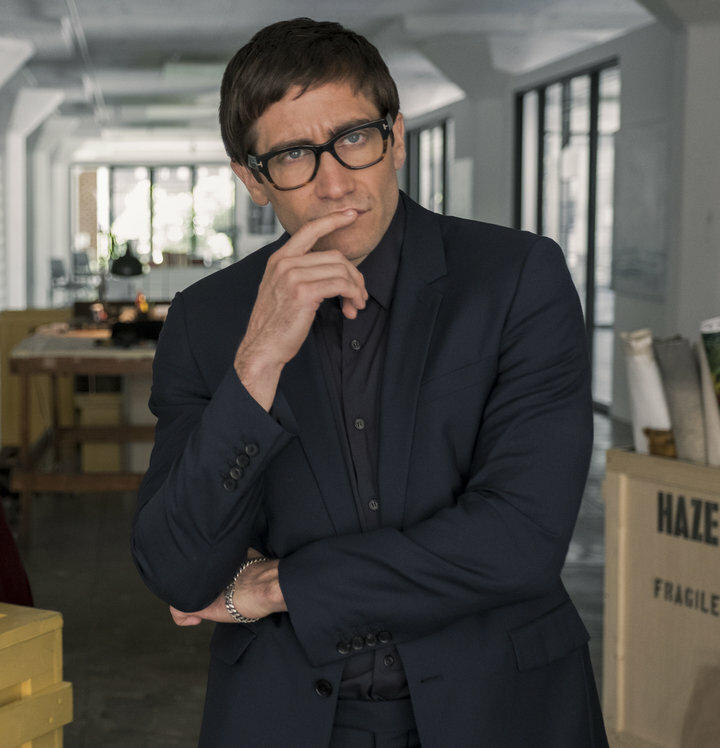 In this grisly art-world satire, Velvet Buzzsaw opens with a renowned art critic, Morf Vandewalt (the sensational Jake Gyllenhaal), in his designer sunglasses, turning his pompous, gimlet eye on artwork at the highly hyped Art Basel Miami show. Pontificating about what he considers worthy or unworthy, Morf has the power to punish or reward. Everything starts conventionally with the cocktail circuit of groveling artists’ representatives, but soon it turns grisly. Velvet Buzzsaw relishes in satirizing the pompous art-world, blending horror inside an artist’s disturbed mind. The disturbed mind is that of a deceased elderly man, Vetril Dease, whose paintings are discovered by Josephina (Zawe Ashton) , a recently fired art gallery assistant. Although Dease had instructed that his paintings be destroyed after his death, Josephina ambitiously appropriates them. She sees an opportunity for profit, power, and status. Partnering with her former boss (Rene Russo), the powerhouse owner of the Haze gallery, the two women form an unholy alliance to sell Dease’s “outsider art” for exorbitant sums of money. Despite the fact that Rhodora Haze had humiliated Josephine previously, the young assistant soon becomes indispensable to Rhodora. Art becomes personal, and Dease’s mysterious paintings have a mind of their own. What if the figures in his paintings reflect the artist’s past pain and suffering? Dease’s fear, melancholy, menace and agony? Seemingly unfazed by growing concerns over Dease’s work and his past, Rhodora imperiously manipulates the profits from this windfall collection, creating more buzz as some paintings are destroyed. Josephina is her accomplice. Velvet Buzzsaw’s pacing is skillful and adept with what-will-happen-next tension. However, a few images are almost too far-fetched, even for the horror genre. Part “Black Mirror” and part classic “The Red Violin”, the viewer is left asking questions from the ambiguity of the ending: Who is the perfect victim for a cursed object? When is the punishment too extreme for the crime? 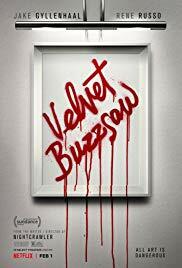 Velvet Buzzsaw is sharply rendered. Note: This is a new release, a Netflix Original, with grisly deaths and a few bloody scenes.